With this option, you experience a quintessentially Parisian tradition: caviar & champagne. You’re visiting Paris – what better place for a somehow extravagant treat? After your tour with Discover Walks, your guide takes you to Paris’ caviar bar: Comptoir du Caviar, near the Champs Elysées and the Paris Opéra house. As soon as you arrive, 3 types of caviar are brought to your table. As more caviar gets brought to you, you are served a second glass of chilled champagne. You also eat tarama roe on home-made canapés. As you eat, you also engage in discussions with the host. What are the reasons behind the ritual? Why is Paris the natural place for eating caviar? You eat and drink. Along the way, you learn to savor and appreciate caviar for what it is, with the guidance of a contemporary, responsible, and enthusiastic caviar house. Samplings of 3 different caviars: Siberian sturgeon, schrenkii dauricus, and Ossetra. Face-to-face time with Comptoir du Caviar’s host, to learn all about caviar – how to differentiate beluga vs. oscietre, how to pair caviar with champagne etc. Our Caviar & Champagne Experience is available every weekday, rain or shine, and lasts a relaxed 90 minutes. Not available Saturdays and Sundays. Closed on Dec. 24 & 25. The experience is an add-on to all PRIVATE tours. You can also include it in your Best Day. The Paris Caviar Experience ends at Comptoir du Caviar on boulevard Haussmann, near Madeleine (closest metro is Madeleine, lines 8, 12 and 14). This experience is with a small-group. Because life is short!? Because you’re in Paris?! 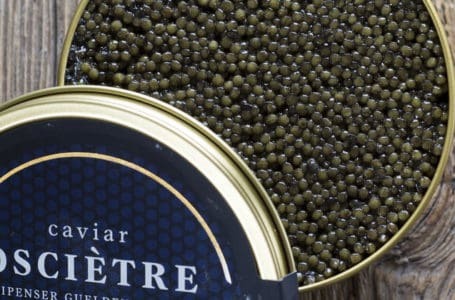 And because nothing tastes quite like the caviar from Comptoir du caviar. €90/person, with a minimum booking of 2 people. This tour can accommodate wheelchairs. You must book a PRIVATE tour with Discover Walks – any PRIVATE tour of your choice- in order to qualify to the Champagne and caviar experience. This Experience ends no later than 7pm.